An in-depth study of CAIR, one of the foremost Islamic advocacy institutions in the USA. 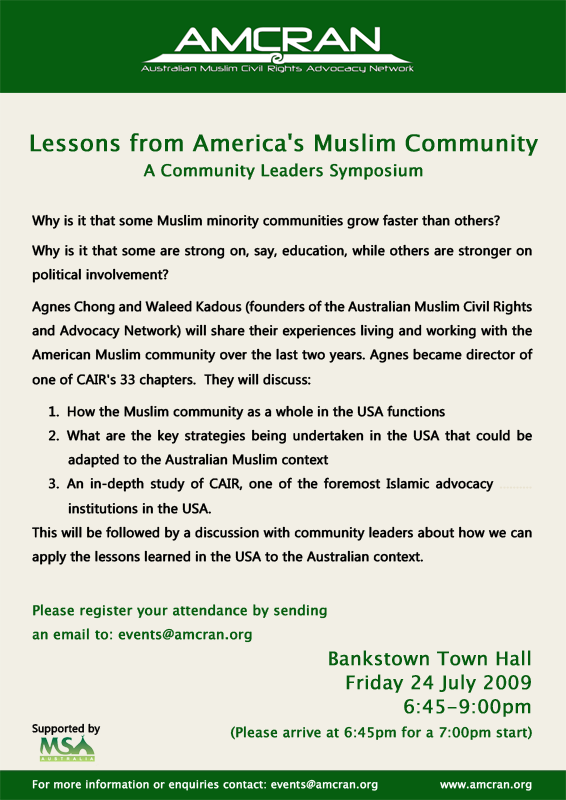 This will be followed by a discussion with community leaders about how we can apply the lessons learned in the USA to the Australian context. The event is targeted at community leaders, however other members of the Muslim community are also welcome to attend if they are focused on community development.